Here's another in our series of flashbacks to special moments in television comedy. 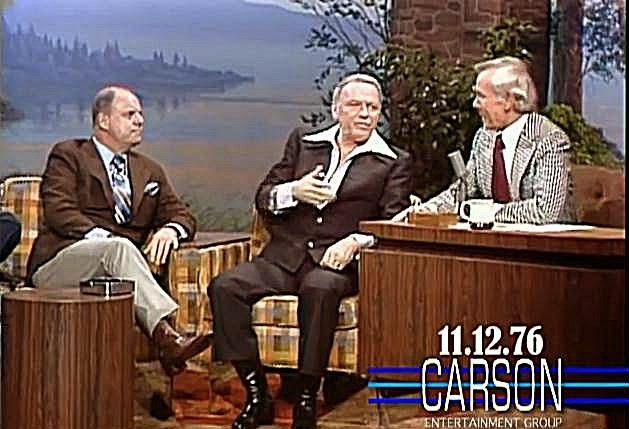 Don Rickles was a frequent guest on the Johnny Carson late night TV show. One night in November 1976, Johnny's guest was Frank Sinatra. In the middle of their conversation, Don Rickles struts in and quickly takes over, making Carson and Sinatra crack up with laughter. With heavy use of Italian dialect and references to organized crime, Rickles has the audience in his hands. He looks around and sees Sinatra, Carson, and Ed McMahon. He says "I'm a Jew, you're an Italian, here's a what? and here's a great Irishman. This is America." Sinatra finishes up with a funny story about how Rickles exploited their personal connection in a restaurant encounter. 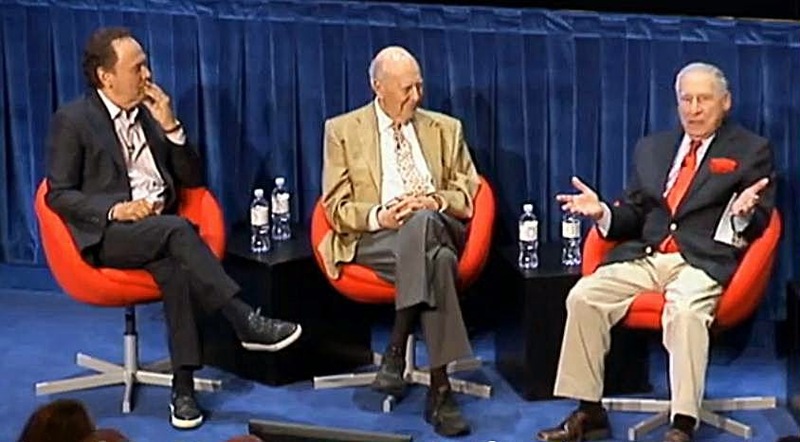 A couple of weeks ago, Mel Brooks, Carl Reiner, and Billy Crystal sat on the stage of the Paley Center for Media in Los Angeles to salute Sid Caesar. For an hour and a half they reminisced and told one hilarious story after another recounting personal experiences they had with the master of comedy who died in February. 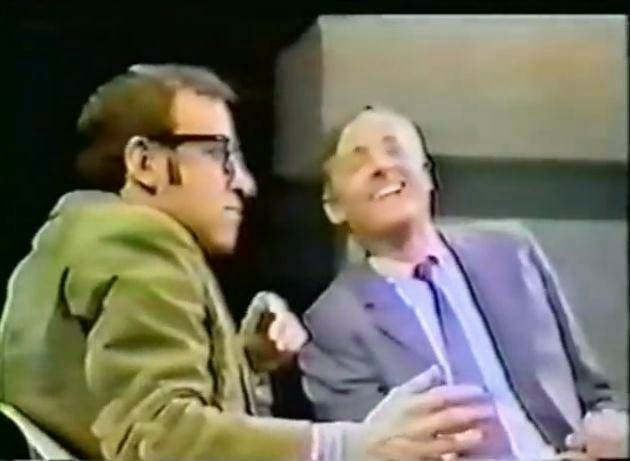 In this segment posted by the Paley Center, Mel Brooks tells about an incident at Columbia Pictures, where he was employed as a $1000 a week writer, and where he was trying to convince Caesar to make a move from television to motion pictures. The story Brooks tells is how he got revenge at the Columbia Pictures executives when they fired a colleague of his by simply removing his nameplate from his office door. How did Brooks get back at them? Watch and laugh along with us. 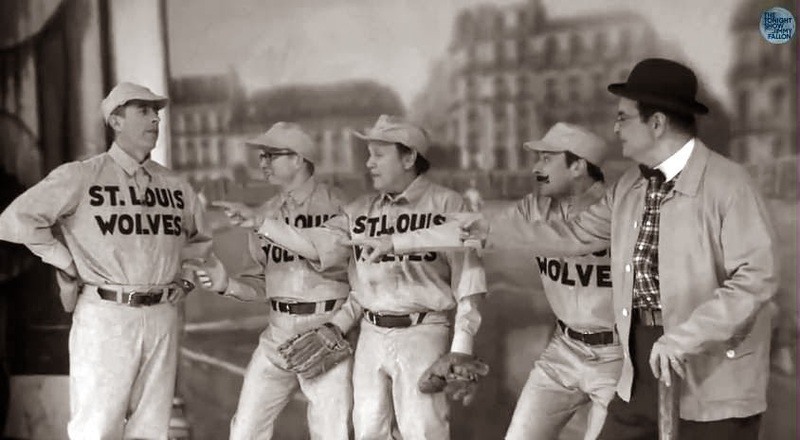 We're all familiar with the original "Who's on First" skit made famous by Abbott and Costello. Last month we posted a remake of it featuring Buddy Hackett and Harvey Korman. We don't know how many other versions are floating around the Internet, but we were glad to find a version we hadn't seen before with Billy Crystal, Jerry Seinfeld, and Jimmy Fallon. In this version, the players with the names "Who," "What," and "I Don't Know" make personal appearances as their names are mentioned. The audience at Fallon's Late Night program was roaring with laughter and we hope you will, too. A Joke to Start the Week - "Would You Ever Marry Again?" Today our joke to start the week comes from the same source that we've used for the past few weeks -- the Camp Hazak program for adults that took place at the Hudson Valley Resort in Kerhonkson, New York a few weeks ago. There must be something about the mountain air in the Catskills that brings the jokes out in Jews who are vacationing there. Maybe it's the legacy of the many stand-up comedians who worked the playhouses, nightclubs, and casinos of the great hotels (and the not-so-great hotels also) that are now mostly gone. 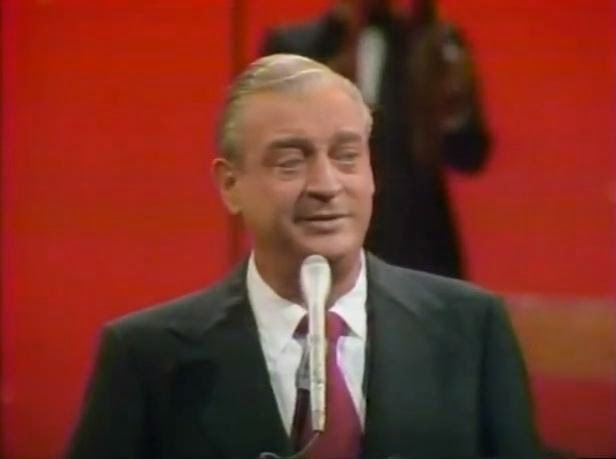 Rodney Dangerfield (1921-2004) was a fixture on the standup comedy circuit during the 1960s, 1970s, and 1980s. His appearances on the Ed Sullivan Show, the Dean Martin Show and all the late night shows solidified his place in the world of comedy. Born Jacob Rodney Cohen on Long Island, Dangerfield (he took the name from a character in a skit on the Jack Benny Show) had a career that went beyond standup comedy to the movies and to his own comedy club, Dangerfield's, in Manhattan. We found a video clip of Dangerfield at the peak of his popularity in 1978. In five minutes, he fires off a barrage of one-liners to the delight of the audience. Robot Enlisted to Write Torah Scrolls, But Are They Kosher? Now we've seen everything. Robots are routinely used in medicine and in manufacturing, but for writing a Torah scroll? That's the latest application that robots have been enlisted for. While the exhibition closes Aug. 3, the robot, reprogrammed with the help of an Israeli graphic designer, will be on display the rest of the year. 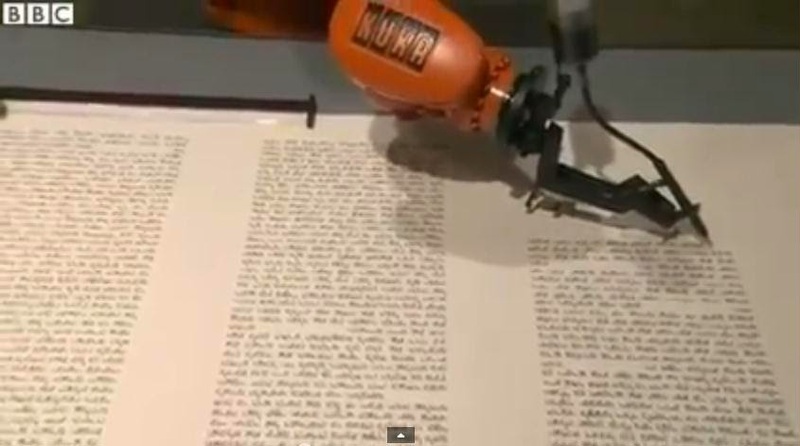 The robot writes the sefer Torah exactingly slowly, from right to left, 10 hours a day. A human scribe takes a year or more to complete a scroll. “While the Sofer [Torah scribe] guarantees the sanctity of the Scripture, the installation highlights its industrial reproducibility,” the website of the Jewish Museum (jmberlin.de) states. The finished product of the robot, fashioned by a writing arm attached to a small nib, will not be kosher according to traditional Jewish law; it will not be acceptable for use in a synagogue, since it is not being penned by a human hand, and is on a 260-foot-long roll of paper, not on parchment. The year was 1967, and comedian Woody Allen and conservative intellectual William F. Buckley Jr. both had interview shows on TV. Allen invited Buckley to be his guest and Buckley accepted. The result was a funny exchange between a brilliant liberal comedian and a brilliant conservative thinker. In the video below, Allen and Buckley share the stage while members of the studio audience ask them questions. Their responses are thoughtful, funny, witty, and surprisingly relevant to our world 47 years later. The topics they touch on include wars between Israel and the Arabs, presidential politics, conservatism vs. liberalism, and the length of miniskirts. It's refreshing to look back to a day when political opponents could be friendly, respectful, and charming. A few years ago we came across Andrew Klavan's funny satiric piece on how to achieve peace in the Middle East but were reluctant to repost it because we generally don't run political humor videos. But considering what's happening now in and around Israel, we just couldn't resist bringing this video to the attention of our readers, those who have already seen it and many more who we suspect will be viewing it for the first time. It's been hard to find anything funny or humorous about the current situation in Israel, but we think this one is really on target. 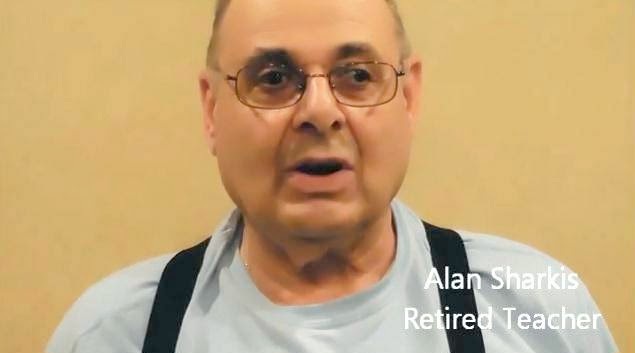 For those of you who are old enough to remember listening to the morning radio program Klavan and Finch on WNEW-1130AM in New York from 1952 to 1968, Andrew Klavan is the son of the show's co-host, Gene Klavan. He was born Jewish, but became an agnostic after his Bar Mitzvah and later converted to Christianity. 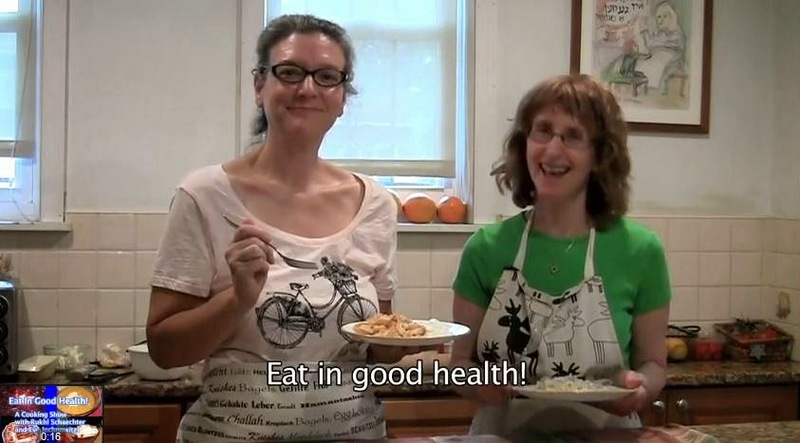 Our favorite Yiddish chefs, Rukhl Schaechter and Eve Yochnowitz from the Jewish Daily Forward are back with their two recipes for homemade noodles with cottage cheese, one with fried onions and one without. 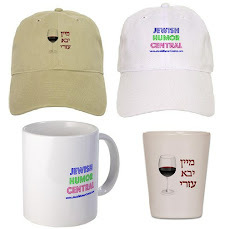 We've been publishing most of their videos featuring Yiddish-flecked banter while they cook traditional dishes. It's another Monday, and time for another Joke to Start the Week. Today's jokester is Alan Sharkis, a 74-year-old retired teacher whom we met a few weeks ago at the annual Camp Hazak week in the Catskills. 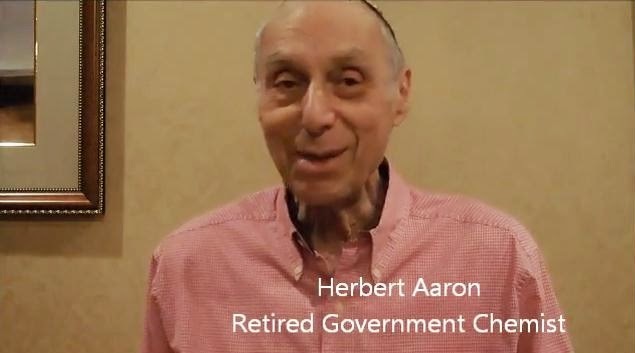 The camp, which was held at the newly refurbished Hudson Valley Resort in Kerhonkson, New York (formerly The Granit), attracted about 140 seniors, mostly from Hazak groups at Conservative synagogues from up and down the east coast. StandWithUs is an international, non-profit organization dedicated to informing the public about Israel and to combating the extremism and anti-Semitism that often distorts the issues. Its core belief is that knowledge of the facts will correct common prejudices about the Arab-Israeli conflict, and will promote discussions and policies that can help promote peace in the region. Through print materials, speakers, programs, conferences, missions to Israel, campaigns, and internet resources, it ensures that the story of Israel's achievements and ongoing challenges is told on campuses and in communities, the media, libraries, and churches around the world. Based in Los Angeles, StandWithUs has offices and chapters in Los Angeles, New York, Boston, Davis, Denver, Detroit, Chicago, Seattle, San Diego, San Francisco, Santa Cruz, Canada, France, the UK, Australia, and Israel. This month the organization asked people to submit photos showing their support for Israel. 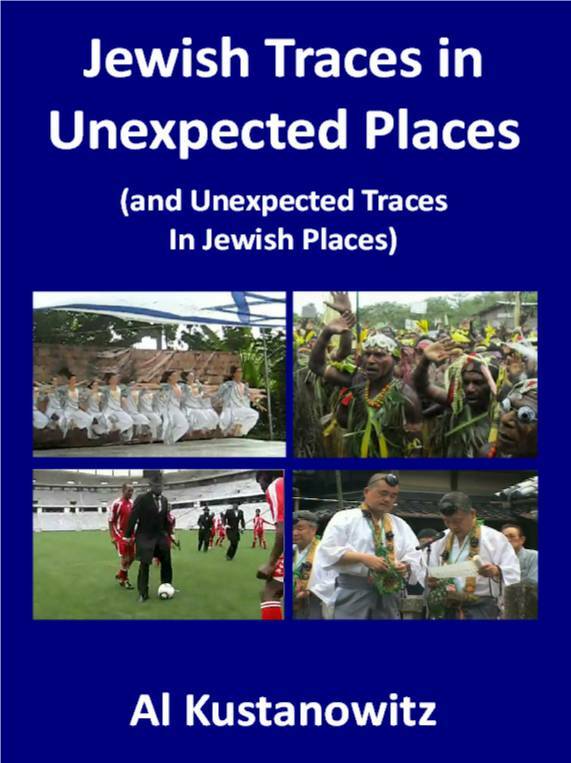 In just one week it received over 400 photos from countries all over the world, including the United States, Czech Republic, Australia, the United Kingdom, El Salvador, Colombia, Germany, Paraguay, Canada, Nigeria and of course, Israel, just to name a few. StandWithUs is still soliciting photos like the ones shown above and in the video below. 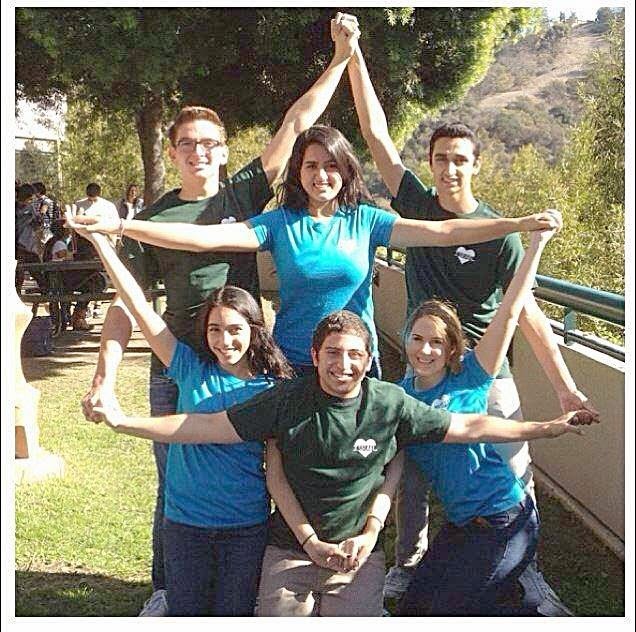 They can be submitted to social@standwithus.com to be featured in its Facebook album. Despite the constant criticism and bashing from many in the US entertainment industry, it's good to know that Israel does have friends among Country and Western entertainers and in Christian communities. 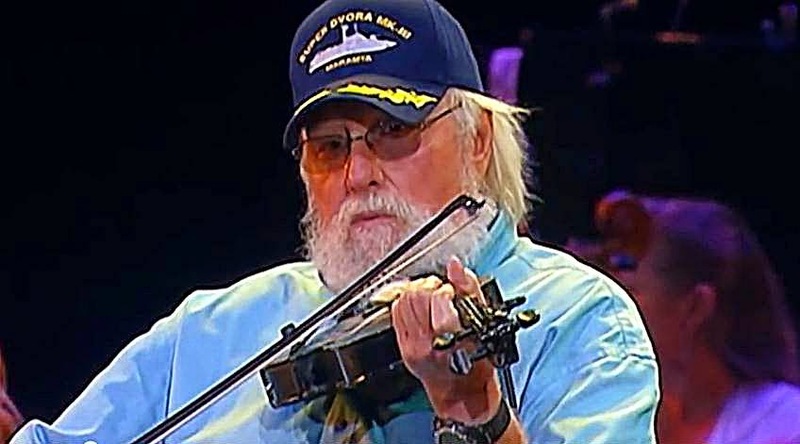 Charlie Daniels, who you may remember from his big hit Devil Went Down to Georgia, performed Hatikvah and I'll Fly Away at a Feast of Tabernacles event in Ein Gedi during Sukkot last October, sponsored by the International Christian Embassy Jerusalem. 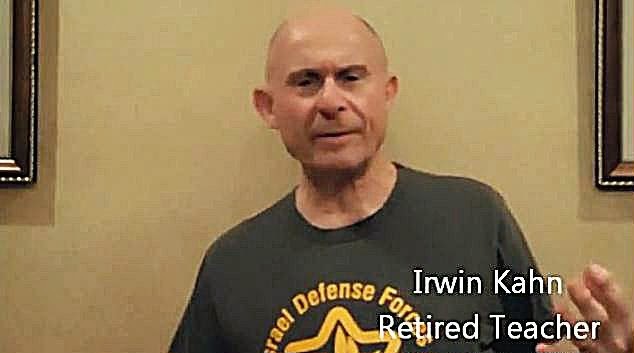 The baseball cap he wore was embroidered with the words Super Dvora MKIII, the name of an Israeli patrol boat, and a picture of the boat. The Super Dvora MKIII, the latest water jet-powered fast patrol craft, is a successor to the Dabur, Dvora, Shapirit, and Super Dvora Mark-1 and Mark-2 boats manufactured by Israel Aerospace Industries.. The new multi-mission patrol and attack boat was first used by Israeli Navy in 2008. Jack Carter, now 91 years old, was one of the most prolific stand-up comedians in television history. Born Jack Chakrin in Brooklyn, he had a long-running comedy act similar to fellow rapid-paced contemporaries, Milton Berle and Morey Amsterdam. 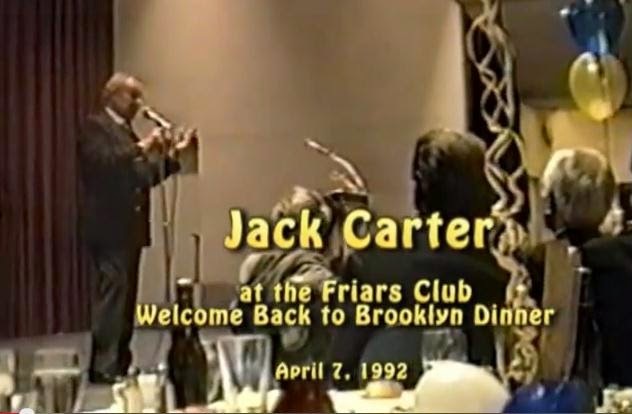 Twenty-two years ago, Carter was the featured stand-up comic at a special Friars Club Welcome Back to Brooklyn dinner. We found a seven-minute-long video clip of him delivering a series of jokes and a monologue describing life among the condominium dwellers of south Florida. It's classic Carter. And he's still doing it! Below you'll find a current video clip of Jack Carter that's included in the documentary film When Jews Were Funny. Today is the Seventeenth day of Tammuz, the start of a three week period that ends with the Ninth day of Av (this year, on August 6). During this period Jews worldwide lament the destruction of the Holy Temples in Jerusalem so many years ago. It's hard for us to feel the sadness and desolation of the destruction because we never personally felt the joy of experiencing the celebrations and rituals that took place in the Temples. 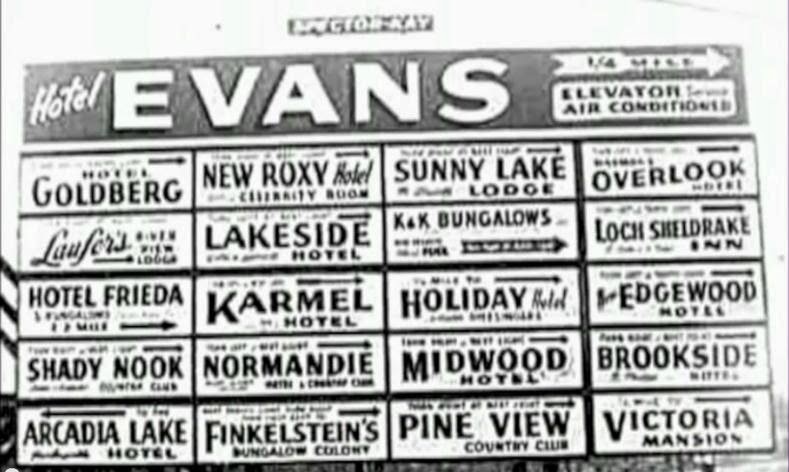 But we have a modern counterpart of sorts that we can relate to by recognizing the desolation that has come to the hundreds of once-regal Catskills hotels that brought pleasure and recreation to American Jews in the 1960s through the 1990s. Not that we're comparing the hotels to the Temples, but in a sense the hotels were temples of Jewish life in their heydey. Now with the razing of Kutsher's Resort in Monticello, only two hotels are left to cater to Jewish summertime vacationers. Another Monday, another Joke to Start the Week. Today we're bringing you the second of a series of jokes that we recorded on site in New York's Catskill Mountains while we were entertaining a group of 150 adults at a Camp Hazak summer retreat. "I Could Be Jewish For You" - From "Songs by Ridiculously Talented Composers"
Not all songs composed for Broadway and off-Broadway find their way into actual shows. Sometimes writers and lyricists write songs that stand on their own without being integrated into full-scale productions. For the last eight years, the works of Ridiculously Talented Composers and Lyricists You Probably Don't Know but Should have been performed in concerts at 54 Below in New York City. Originating at Barrington Stage Company (BSC), the Ridiculously Talented concert series has become a hallmark of BSC's Musical Theatre Lab. 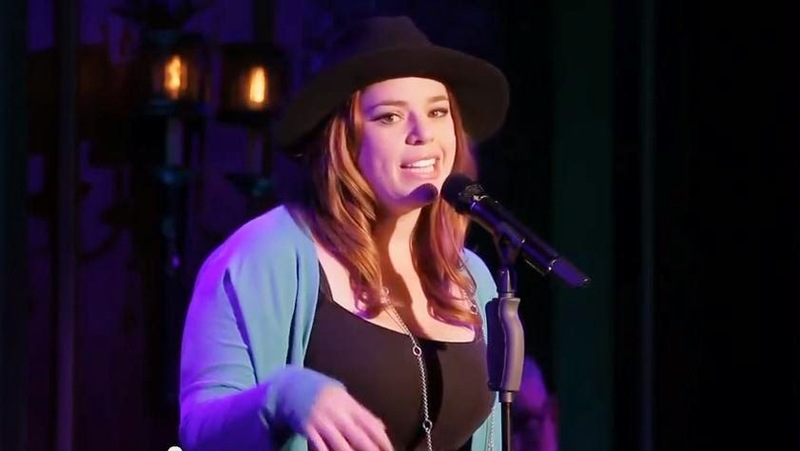 Last year's performance included a song titled I Could be Jewish for You with music and lyrics by Nikko Benson and performed by Alysha Umphress. It's easy to visualize a setting for the song, with a non-Jewish girl trying to win the affection of a Jewish boy by promising to adopt just about every Jewish stereotype in the book. We think it's a bit corny, but cute. 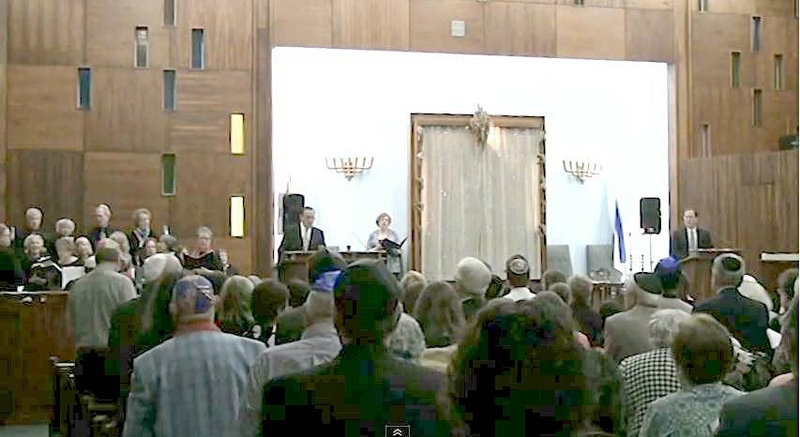 When you attend a Shabbat service, whether it's Orthodox, Conservative, or Reform, it's likely that the structure, flow, liturgy, and melodies will have a lot in common. Sure, some will use more English in the service, some will have instrumental music and use a microphone, and others will chant the traditional melodies a cappella. But the basics will be recognizable to any Jew who attends. 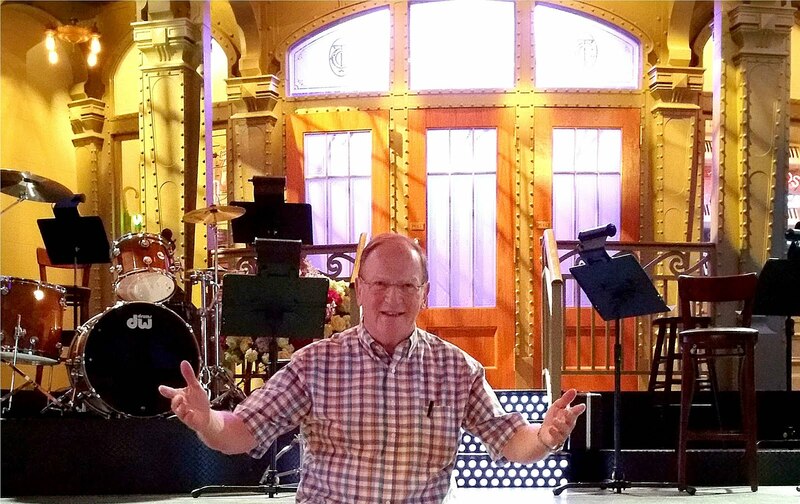 If you happened to walk into the Temple Sinai Friday night service in Cranston, Rhode Island on May 30, you might have thought that you were not in a synagogue but in the middle of a Broadway musical. Not only one musical, but twelve of them. On that night, which marked the retirement of Cantor Remmie Brown and the debut of Cantor Wendy Siegel, most of the elements of the Friday night service were fitted to the tunes of Broadway shows. We have a video of the entire hour-long service to share with you, but recognizing that a whole hour is a bit much to watch in one sitting, we've prepared a guide to the service to let you fast forward to a favorite song and see how Shalom Aleichem, Lecha Dodi, and Adon Olam sound under the influence of Andrew Lloyd Webber, Rodgers and Hammerstein, and the Sherman brothers. 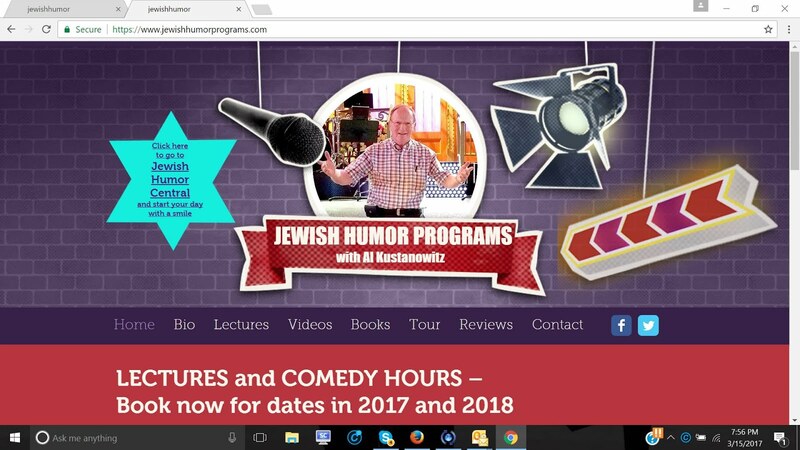 After debuting at a few Jewish film festivals, Alan Zweig's documentary on the evolution of Jewish humor, When Jews Were Funny, has come to Netflix as a downloadable "play now" film. Insightful and often hilarious, the latest from the Canadian documentary filmmaker surveys the history of Jewish comedy, from the early days of Borscht belt to the present, ultimately exploring not just ethnicity in the entertainment industry, but also the entire unruly question of what it means to be Jewish. 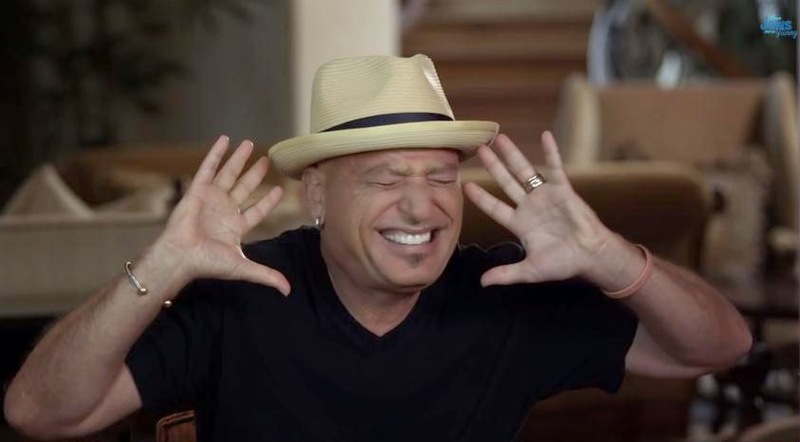 The film features interviews with and clips of jokes from some of the most famous Jewish comedians, including Alan King, Rodney Dangerfield, David Steinberg, Shelley Berman, Jackie Mason, Jack Carter, Stewie Stone, and Howie Mandel. It also includes some of the new younger such as Elon Gold, Modi, and Cory Kahaney. Here's the film's trailer. You can download and play the entire film instantly at Netflix.com. It's also available at Amazon.com. 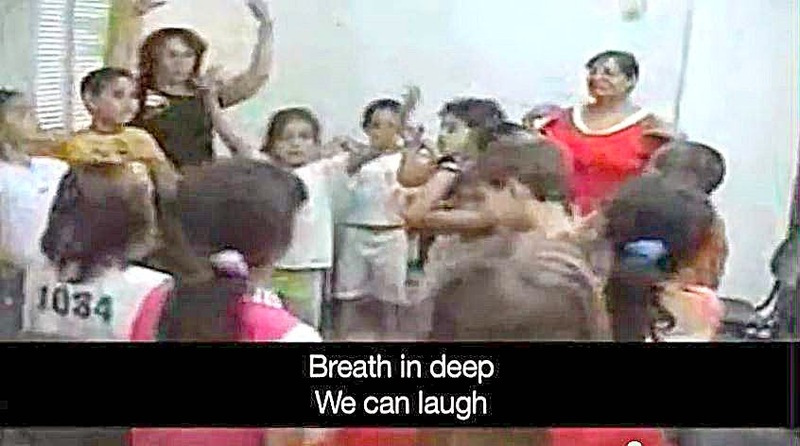 Dancing in Jerusalem is one of the most uplifting music videos about Israel that we've seen this year. It was written and performed by Sam Glaser, a composer, performer and interpreter of Jewish music. Referred to as one of the top ten Jewish artists in the United States by Moment Magazine, he holds a global fifty-city music tour culminating in Israel every year. Glaser performs annually to over 100,000 people of all ages at such venues as The Greek Theater, Universal Amphitheatre and Dodger Stadium, and toured cities such as Sydney, London, Hong Kong, and Tel Aviv. While an Orthodox Jew himself, he holds concerts as well as sings in synagogues of all streams of Judaism, which are Orthodox, Conservative, Reform, and Reconstructionist. In this video, Glaser describes the various major redemption moments of the past century, including the emigrations from Yemen, Iraq, Morocco, Ethiopia, and the former USSR. The opening line quotes the Ethiopian Crown Prince Ahmad when he finally gave permission for the Jews to leave. Glaser was born to a Jewish family in Los Angeles, California and started composing and performing at the age of 7. He recorded his first full length album at the age of 11 and composed his first national radio spot at the age of 14. While in Junior High, Glaser was chosen Best Male Vocalist in the LA City School District and was presented the award by conductor Zubin Mehta at the Dorothy Chandler Pavilion. He graduated from the University of Colorado with a B.A. in Business and Minor in Music, and also attended the Berklee College of Music in Boston and the UCLA Film Scoring Program. Glaser currently lives in Los Angeles in the Pico-Robertson neighborhood with his wife Shira and children Max, Jesse and Sarah. We've been running some of Sid Caesar's classic comedy bits from Your Show of Shows and Caesar's Hour, and you've been asking for more. So here it comes. Some of the funniest skits on Your Show of Shows were standout successes because they were acted out by Sid Caesar, Carl Reiner, Imogene Coca, and Howard Morris. 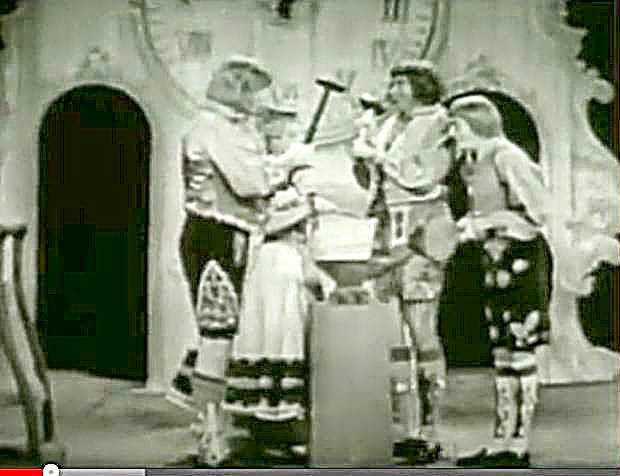 One of the funniest classic skits featuring these four is The Clock, which aired in 1953. In the little town of Bauerhof, Bavaria, the people were all proud of their amazing clock. Every hour on the hour, four little figures emerged to strike the hour with a choreographed routine before returning to their stations inside the mechanism. It's another Monday, and time for a joke to start the week. 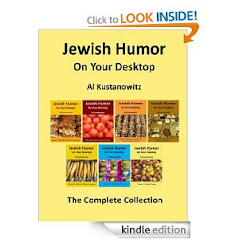 Today we're starting a series of jokes that we recorded at the Hudson Valley Resort in the Catskills last week while we were doing two comedy shows for the Hazak Senior Summer Camp. Whenever we do a lecture or comedy program, some of the attendees are eager to tell their own jokes and we're only too happy to share them with you. If you invite us to give a lecture or comedy program in your community, we'll come equipped with a video camera to record the fun. Right now we're looking for bookings in Israel in December and in Florida for January and February 2015. 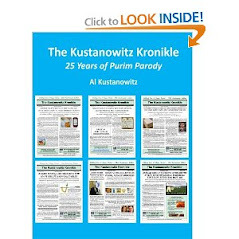 If you would like more information, please contact Al at 201-796-9273, or visit www.jewishhumorprograms.com. 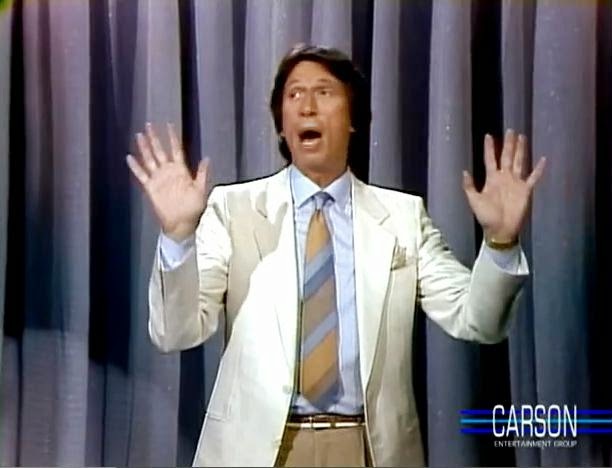 Back in March, when comedian David Brenner died at the age of 78, we posted one of his stand-up comedy monologues on Johnny Carson's Tonight Show. That routine has since been removed from YouTube, so we thought we'd share another one of his appearances with you. According to Wikipedia, Brenner was born to Jewish parents in 1936 and raised in poor areas of South and West Philadelphia. 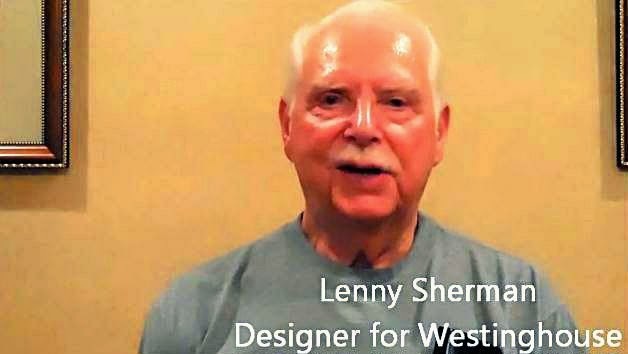 His father, Louis, was a vaudeville comedian, singer and dancer performing under the stage name of Lou Murphy, who gave up his career and a film contract in order to please Brenner's grandfather, a rabbi, who objected to his working on Shabbat. 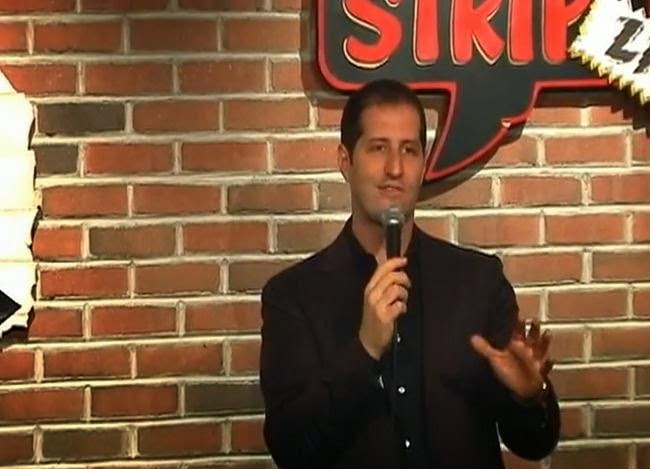 In recent years he played casinos in Las Vegas and elsewhere in the country, and he took a light-hearted look at social and political issues on venues as divergent as MSNBC and the Fox News Channel. One of his most memorable performances was at the Golden Nugget Hotel in Las Vegas on Sept. 11, 2001, the day of the terrorist attacks. Though the room was half-empty, Brenner went on with the show. At the finish he told the audience, according to a 2002 article in the St. Petersburg Times, "I'm supposed to end with a joke. But for the first time in my career, I'm not going to do that. I'm going to end by telling you that I learned tonight that if you can laugh, you can live. And that means we are going to get through this." He got a standing ovation. In today's post, aired in 1983, Brenner reflected on a recent massive recall of General Motors automobiles, differences beween American and Japanese cars, truck drivers, acupuncture, doctors, and the mating of bald eagles. Today is the Fourth of July, a holiday that we celebrate with Americans of all religions and ethnic groups. As the world is riven today by national rivalries, hatreds, and acts of unspeakable cruelty, we can take comfort in the knowledge that the United States of America and Israel share a value system that is truly exceptional. 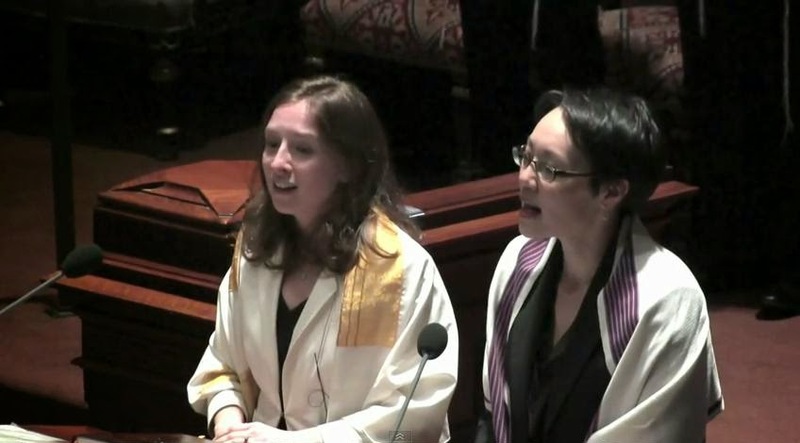 Last year, Angela Buchwald and Julia Katz, the cantors of New York City's Central Synagogue, added a mashup of Hatikvah and America the Beautiful to a Shabbat service to give voice to the hope and vision that these two countries have shared from their birth. Have a happy Fourth and enjoy the music. Shabbat shalom. 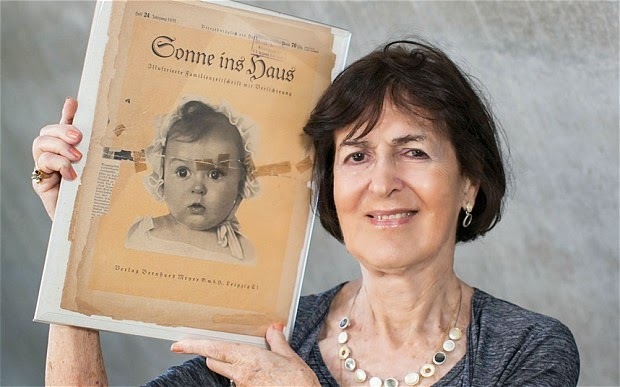 Unbelievable But True: Jewish Woman Tells How Her Photo Was Shown as Nazis' "Perfect Aryan Baby"
It happened back in 1935 but just came to light this week. When the Nazis were promoting their idea of a Nordic or pure Aryan race as the highest level of humanity, they commissioned ten German photographers to submit photos of six-month-old babies as examples of a "perfect Aryan baby." What they didn't know then was that the cute baby in the winning photo was a Jewish girl named Hessy Levinsons, who is now 80-year-old Hessy Taft, a chemistry professor in New York. Taft recently presented a copy of a Nazi magazine from 1935 with her baby photo on the cover to Yad Vashem, Israel's center for Holocaust research, documentation, and education. Taft's parents managed to scrape together enough money for professional photographer Hans Ballin to snap their baby. A few months later, the family was shocked to discover that their daughter's image was on the front cover of a Nazi propaganda magazine called "Sun in the House", which was edited by Kurt Herrman, a friend of Hermann Goering and a staunch Nazi. Ballin deliberately entered the photograph in a contest for the most beautiful Aryan baby, and when Taft's mother questioned his actions, he told her: "I know, but I wanted to make the Nazis ridiculous." The winning photograph was personally chosen by Goebbels. The family fled Germany to Paris in 1938, and then moved to Cuba before arriving in the United States in 1949. The Nazis never discovered that their perfect baby, whose image they heavily disseminated, was in fact Jewish. "I feel a little revenge, something like satisfaction," Taft told the German newspaper Bild.